There are few technologies that are transformative in the IT industry. Many are widespread, but only a handful overturn the status quo. The change in corporate policies from mandating a mobile platform to bring-your-own-device is one of them. Ironically, BYOD isn’t a technology but an attitude shift. 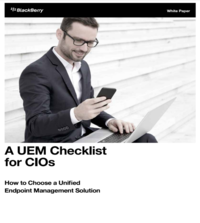 But as this article from ComputerWorld U.S. points out, its effects will be with organizations for years in terms of nailing down mobile device and application management. One industry analyst predicted it will be several more years before a majority of enterprises have a better grip on BYOD and related demands. “It’s a whole change in the way enterprises think about devices — and PCs too,” he said.